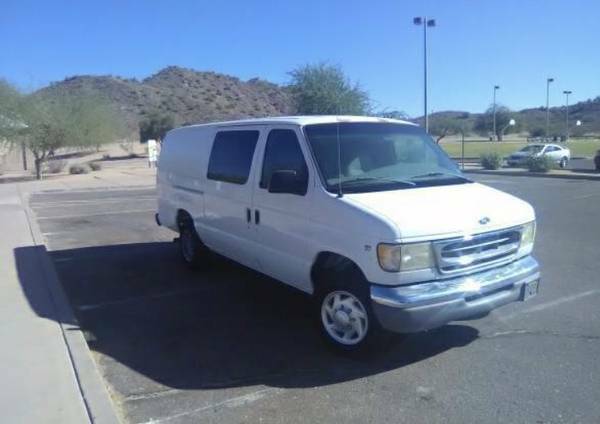 E250 1998 Cargo Van Low miles! 141000 miles. Great tires, exterior and paint is almost perfect, interior super clean other than a little tear in seat. Brand new touch screen stereo and door speakers put in this week. Fresh oil change and air filter. Heating and ac to the back of the van. Won’t find a cargo van this clean for this clean for this cheap anywhere!